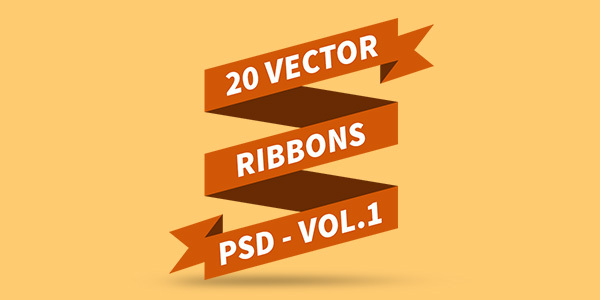 Friends, today we release a pack of 20 vector ribbons in volume-1. Even as we release it, this is one of our favorite design resource and we spent some good amount of time to create it. The PSD file contains more than 20 ribbon graphics hand-crafted in full vector shapes layers for ease of editing. You can use these graphics in your websites, products, portfolio, design works, etc., to showcase short vital text and make some impression. Also, we will be releasing the volume-2 of this freebie soon, so keep checking back! !